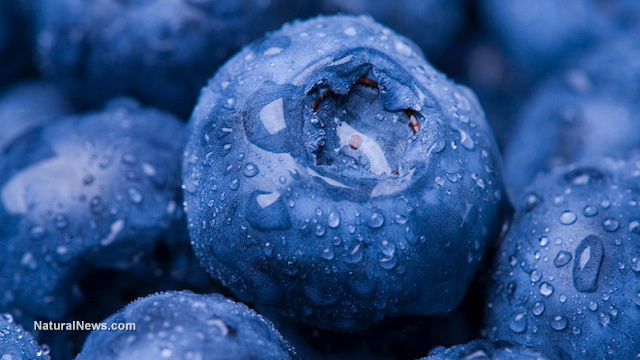 While many aspects of dementia and Alzheimer’s disease remain largely mysterious to scientists, one thing is clear: People who are looking to prevent the onset of dementia can find a surprising ally in organic blueberries. In the study, some participants were given a powder made from a teacup-sized amount of blueberries, while others were given a placebo powder. They were given mental tests that focused on the thinking and memory skills that are often affected by dementia at the beginning of the study and again at its conclusion. Those who consumed the berry powder showed a significant improvement in their cognitive function compared to the placebo group, and this finding was backed up by brain scans that showed more activity in the group who had consumed the blueberries. This benefit is likely due to the anthocyanins in blueberries, which are the chemicals that give the fruit its deep blue hue. It is believed that they can affect the brain by reducing inflammation, enhancing blood flow, and making it easier for cells to communicate. Dr. Krikorian said that these findings corroborated previous studies in both humans and animals. Next, he wants to study people who are in their 50s and early 60s with a higher risk of Alzheimer’s. He also emphasizes the importance of starting to eat the berries in middle age, as research shows that the disease could actually eat away at one’s brain for decades before the first symptoms start to emerge. It is not yet known what amount will get the job done, but he believes that eating the fruit a few times a week is sufficient. A similar study by a team of researchers form the University of Reading and Peninsula Medical School in England, showed improved performance in spatial working tasks just three weeks into a three-month course of supplementing a regular diet with blueberries. Blueberries are rich in phenolic compounds, which are compounds that have a high antioxidant capacity. A number of clinical studies have suggested that these berries could serve as effective anti-cancer agents in both their natural form and as nutritional supplements. Blueberry intake was also shown to reduce colon cancer risk in a study conducted by the Department of Food Science and Technology at the University of Georgia. Their anti-cancer properties are believed to include the ability to reduce inflammation and oxidative stress, and inhibit the proliferation of cancerous cells. Many of blueberries’ benefits can be derived from the high amount of flavonoids that cross the blood/brain barrier when one eats blueberries, as well as a number of other antioxidant and biochemical benefits. It’s pretty easy to see how organic blueberries came to be considered a superfood, when you add up all of the things that research has shown they can be good for. A 2009 study in Experimental Biology discovered that they might change the way the body stores and uses sugar for energy. The researchers in that study noted that rats who ate a blueberry-rich diet had a decrease in abdominal fat, triglycerides and cholesterol, while their glucose control got a boost. Other studies have shown blueberries to promote urinary tract health by keeping bacteria from adhering to the walls of the urinary tract. It is also believed to be useful in preventing osteoporosis. Alzheimer’s’ disease is the only one of the top ten causes of death in America that cannot be cured or even slowed, and with an estimated 5.3 million Americans living with the disease, the need for a safe and effective method of prevention is stronger than ever. While scientists believe that more studies are needed, these berries are already showing a lot of promise. Tagged alzheimers, dementia. Bookmark the permalink.